*Authorized JELD-WEN Windows & Doors Dealer* Specializing in large multi lot projects, Younger Brothers Door & Trim was established in 1998 in Phoenix Arizona. Today, we’re housed in our own 72,000 sq. ft. facility and ranked as one of the most inclusive, full service door, window and trim businesses in Arizona. We are committed to using cutting-edge technology to solve even the most demanding of projects while optimizing efficiency and increasing profitability for our building partners. We complete thousands of projects a year providing our customers with an unsurpassed level of experience. If you are a home builder, residential or commercial contractor, consider Younger Brothers Door & Trim for your next project. We are proud of the company we keep, some or our valued customers include (but are not limited to) Meritage, Fulton Homes, Lennar Homes, Ashton Woods and David Weekly Homes. Please visit our showroom today. Hours from 7:00 a.m. to 4 p.m.
WE SHIP AND INSTALL NATIONWIDE. San Juan Iron LLC is one of the founders of the iron door market in the US, introducing our first iron doors in 1998. San Juan Iron is the premier manufacturer of high quality hand-forged, custom-made iron works. We specialize in creating astounding iron entry doors, iron driveway gates, iron stairway railings, and ornamental accents that complement your sophisticated residential projects. Tucson's Leading Window & Door Specialist | 4x Best of Houzz Winner! For over 10 years, Eurowind Windows and Doors, has been the Valley's leading supplier of both residential and commercial custom window and doors. We specialize in Folding Doors, Stack Doors, Lift & Slide Doors and European Tilt & Turn Windows. Call us today for a free estimate! Rustic Décor is owned by Mike Sullivan who has been doing business in Scottsdale since 2002. Mike’s background as a General Contractor and owner of successful retail stores has prepared him well for his leadership role at Rustic Décor. Let Rustic Décor assist you in the design, fabrication, and installation of many unique and beautiful hand crafted custom items such as: Custom Mesquite and Iron Doors and Gates Interior Alder Doors Decorative Vent Covers Copper and Iron Lighting Cantera Stone Solid Wood and Carved Cabinetry Railing, Banisters, and Handrails With such a wide variety of products and a vast reservoir of experience and knowledge behind it, Rustic Décor is not to be overlooked when you are remodeling or building your home. Our personnel would be happy to provide a free no obligation estimate for any of our products. Stop by our showroom located in the Scottsdale Design Center or browse our website to see how we can be of service for your next custom project. Janus Custom Building Products primary goal is to provide extremely high quality products to premier builders and home owners unique to each home's architectural style. We strive to build a strong and personal relationship with all our clients and offer quality and service that are unparalleled. Steel is an investment in value. Our steel doors and windows are praised for their incomparable strength, durability, and unparalleled aesthetic value. The inherent material strength, manufacturing process, and finishing techniques result in doors and windows that last and sustain their beauty. With the availability of powder-coating steel doors and windows are virtually maintenance free. Having the choice from literally thousands of colors gives our customers the ability to truly find a unique look for their home. Whether it be Old World, Tuscany Estates, Country, Southwestern Adobes, Mediterranean Villas, Craftsman Style or Contemporary Homes, your vision can be reality with us. Neoporte Modern Door has been the industry leading manufacturer for modern steel doors since 2001. Whether you are building your dream home, remodeling, or just replacing an existing door, think Neoporte Modern Door to distinguish your home from the ordinary. All Neoporte Modern Door systems are made in the USA by the finest craftsmen in the industry in our state-of-the-art facility located in Phoenix, AZ. 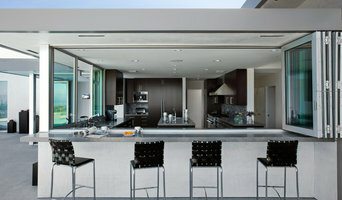 Modern, steel entry doors, pivot doors, and sliding doors. Finishes include stainless steel, weathering steel (aka Corten), and painted finishes. Neoporte's modern steel doors are available in custom sizes up to 4' 10" wide by 10' 0" tall in both hinged and pivot entry system configurations. Doors are 100% manufactured in the USA. We design and build Iron Doors and Iron Gates for residential and Commercial projects. Iron work at a higher level... Shipping is available nationwide. All products are 100% made in the USA. Feel free to call or visit us at our showroom/factory Mon-Fri! Signature Iron Doors is the nation’s leading manufacturer of one of a kind iron products. We hand forge custom wrought iron that reflect our customer’s style and individuality while providing security. Signature Iron Doors are the best engineered ornamental iron doors on the market. We’re the only manufacturer with a SEAMLESS frame (no putty or fillers). We accent the exterior and interior of homes providing timeless ironwork. Our sales team meets with customers and contractors to come up with the perfect design of entry doors, garage doors, gates, railing, windows, wine doors, and any other custom iron work. Our main office is in Phoenix, Arizona, but we have contractors throughout the nation and have clients in every state and many countries. Since 2000, Sonoran Doors Inc. has proudly manufactured custom crafted doors that adorn some of the finest homes in the Phoenix area. As a family-owned business, we engage every facet of the design and production of our doors. Collaborating with homeowners, architects, designers, and builders- we pursue the highest quality, combined with sound value and excellent customer service. 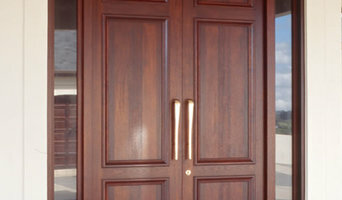 As a full service custom door manufacturer; quality, tradition, and service is our mission. We also offer one-of-a kind custom furniture to compliment any style. 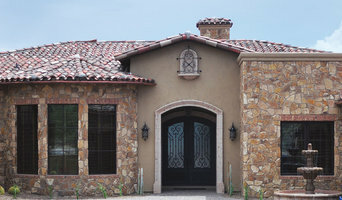 Sonoran Doors Inc. is not limited to the metropolitan Phoenix area. We are able to ship our products nationwide. IllumiNation Window & Door Co. The Valley's premier source for Windows & Doors. Our new Scottsdale showroom features the valleys largest selection of high quality window and doors from many manufacturers. Illumination offers the highest level of customer service and premium quality products for today's design minded clientele. Since 1995, John Taber has been transforming some of nature's most complex woods into custom handcrafted furniture, doors, millwork and architectural elements. Taber & Company creates from the ground up, beginning with milling harvested trees to ensure the most characteristic slabs are used. John has developed a proprietary and uncompromising technique for creating a rich, unique finish using his custom blended stains and waxes. Enhancing the natural beauty of the wood has become a recognizable trademark. John Taber, one of Phoenix Home and Gardens “Master’s of the Southwest”, has been making his mark in luxury homes and resorts including the Desert Highlands Country Club, The Four Seasons Resort, The Wigwam and The Cloister Resort and Spa at Sea Island, Georgia. Designed and handcrafted, in Arizona, Taber & Company’s collections includes custom furniture, doors, fully integrated kitchens, libraries, billiards tables, hand forged iron, and outdoor furniture. Not to be defined by one style, Taber & Company flawlessly incorporates a keen sense of proportion, scale and incomparable hand finish to any style of choice. Arizona Shower Door's officers, management, and employees will strive to provide our customers with the finest quality shower enclosures and mirror wardrobe doors in the country. We will provide customers with the most cost effective source for high-quality engineering, manufacturing, and distribution possible. We will utilize effective communication to create an environment of trust, teamwork and will encourage innovation, initiative and leadership.